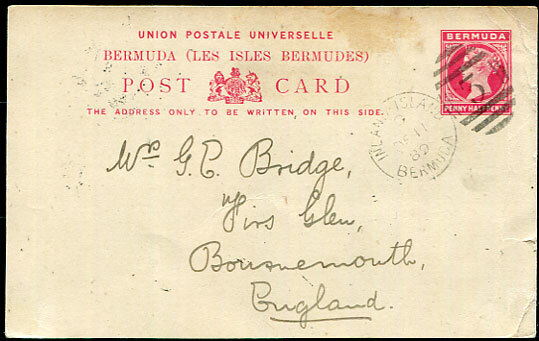 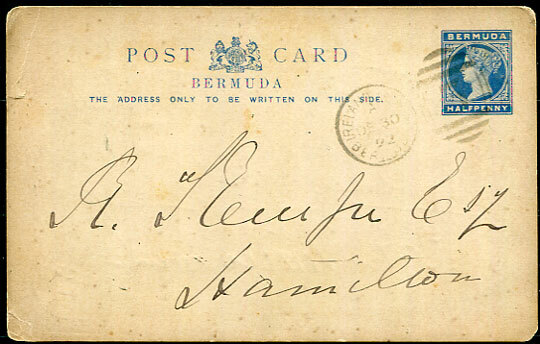 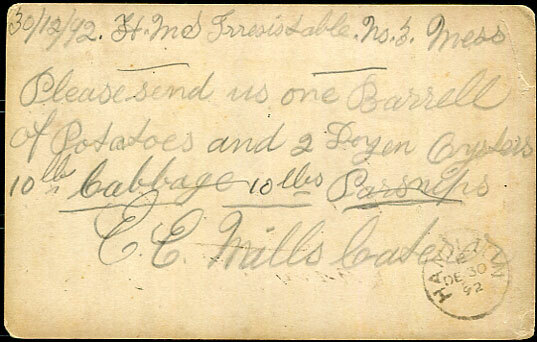 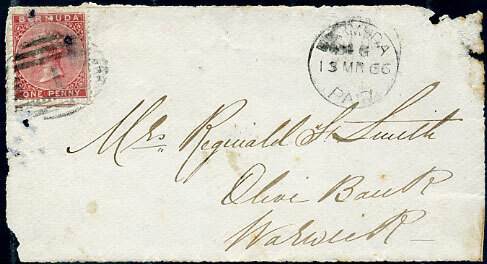 The second earliest adhesive cover from St. Georges with short-lived K1 "1" plus STG cds combination: 1866 local cover front (peripheral faults) to Mrs Reginald Smith, Olive Bank, Warwick with 1st printing QV 1d rose-red CC wmk (SG.1) tied short-lived K1 "1" with STG cds (P5) dated 15 MR 66 alongside. 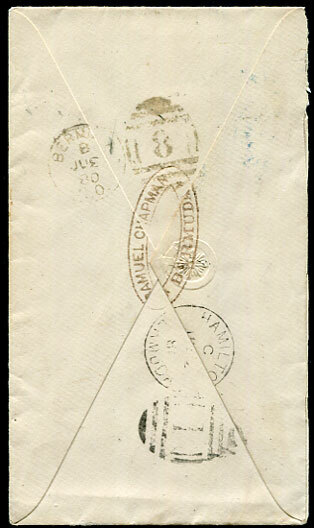 Only 9 covers are currently recorded with K1 plus STG cds combination: one with 1d, four with 6d, four with 1/- adhesives. 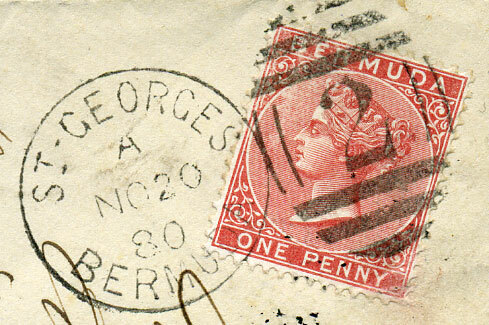 The earliest 1d cover with B/1 and STG cds (P5) combination is dated JY 21 67. 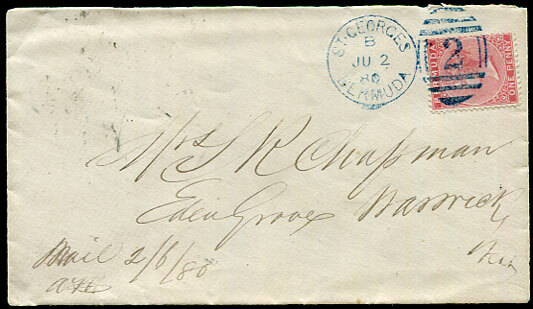 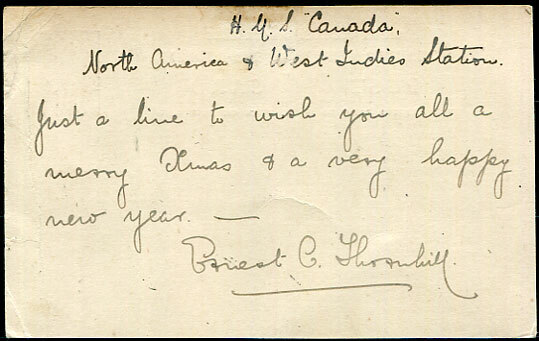 K3 "2" duplex (Handstamp II) dated A/NO 20 80 on 50% top half cover to Warwick West b/stamped Hamilton B/NO 20 80 and very poor K3a "8" arrival.